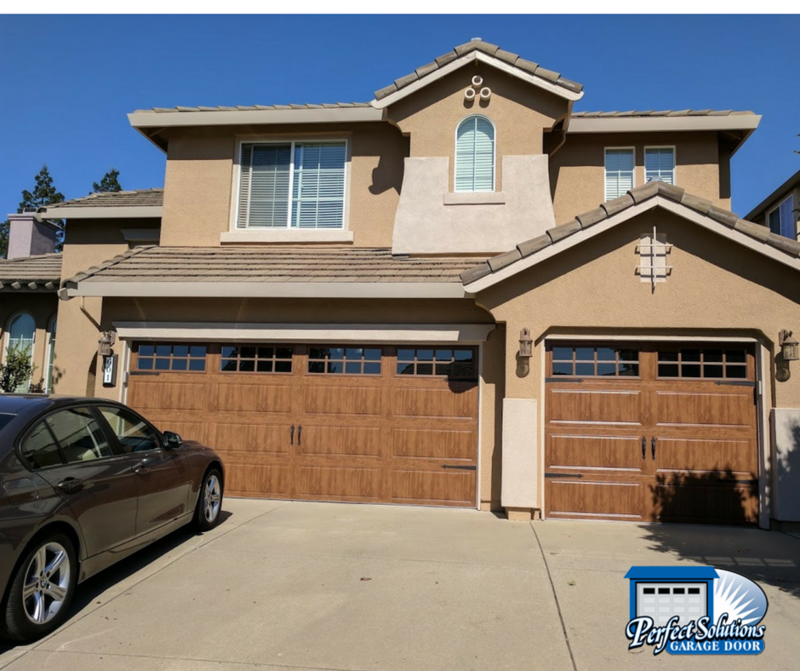 This Roseville, CA was built 15 years ago. The doors the house was built with were very simple, had no windows and no insulation. Every summer, the garage was very hot, and the homeowner was frustrated. He wanted to work in his garage year round. After 15 years, they decided to replace the garage doors. They wanted something with style, with windows, and a door that was insulated. They looked at tons of styles and ultimately decided upon the Gallery collection by Clopay. The biggest draw to these doors was that they come heavily insulated. This style also had big windows. The outside of the door is painted to look like wood, with a wood grain paint, so it gave them a unique style. They chose the “Dark Oak” finish. The door itself, while painted to look like wood, is actually made of steel. Steel is very durable and much easier to maintain than real wood. It’s also less expensive. The doors also have the carriage house style they loved. The groove panel design of the door and it’s raised panels, allow this steel door to have a vintage carriage house look. 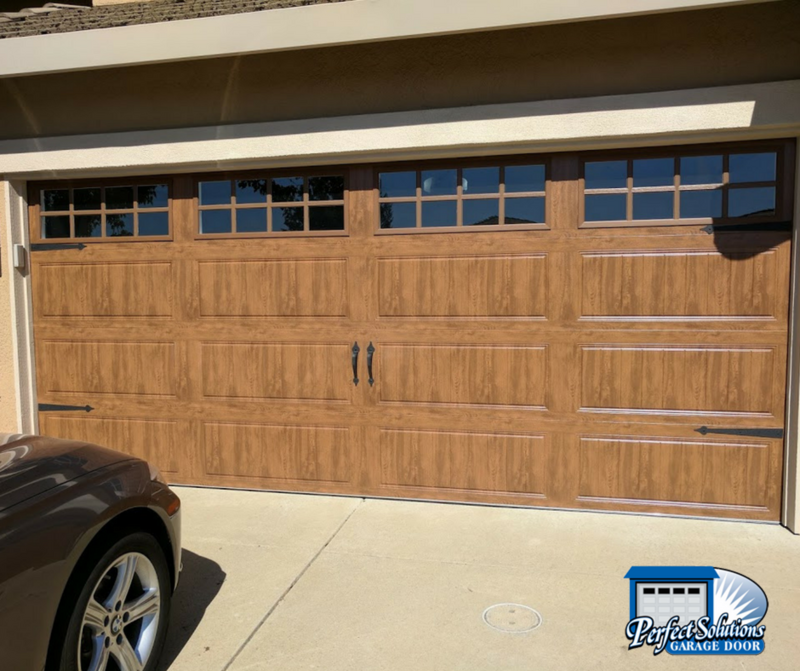 The insulation on these doors can range from an R value of 6.3 to 18.4 depending on where you live, and what you are looking for. The homeowners also chose some decorative wrought iron hardware to complement their new doors. The after pictures are gorgeous. And most importantly, the homeowners are so happy with their new garage doors. 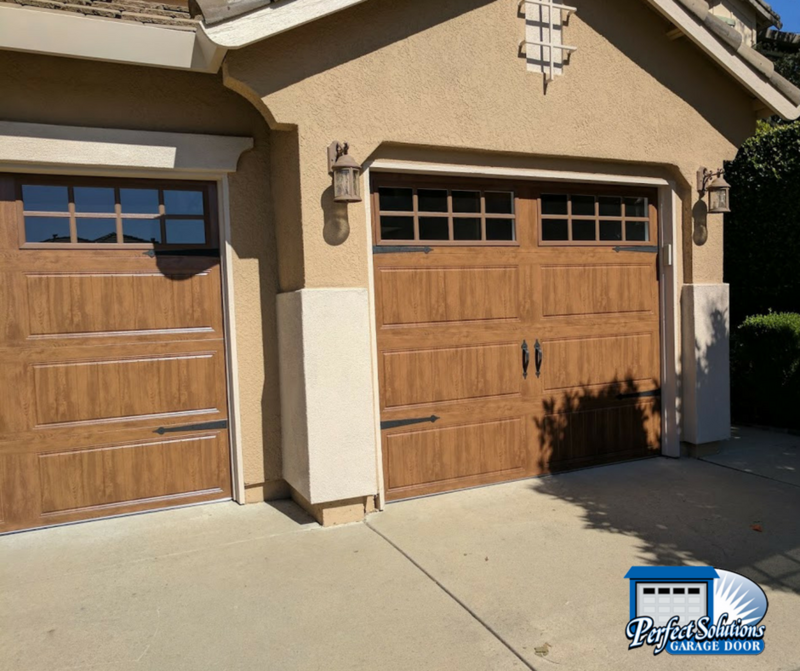 Changing out your garage doors can instantly give your home updated curb appeal, and is immediate equity into your home. The builder basic white doors this home had before looked cookie cutter and didn’t offer any practical features like insulation or natural light from the windows. Simply changing out the garage doors gives this home an updated and custom look. Great to enjoy, and great for resale!